I can't tell if it's just spring allergies or a full-fledged cold, but my nose and ears are stopped up with goop. This has been going on for several days and I'm about ready for it to be over, say, yesterday. This stuff, to be precise. It's smelling pretty good. I'm sure all the vanilla paste I added didn't hurt, either. Hope you are feeling well again now! Oh man... 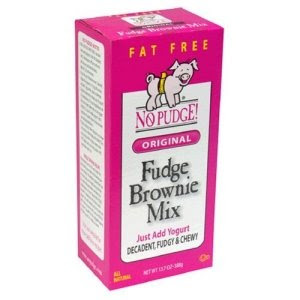 I *love* No Pudge Brownie Mix. 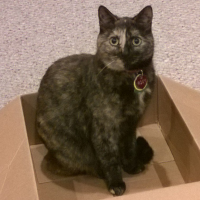 Now I'm sorry I hadn't mentioned it to you! I especially love the recipe for making single servings. Perfect for those times when I really wanted some sweet baked goods, but don't want to totally blow my diet. Both the fudge mix and the vanilla paste can be had at your friendly neighborhood Trader Joe's. I was hoping the vanilla paste would add an even more intense vanilla flavor, but it gives about as much kick as an equivalent amount of vanilla extract. Still tasty. Fen has been mentioning No Pudge for a while now, but I'd just recently gotten around to trying it. It's pretty nom.